Book Directly with us and save 10% off of our Best Available Rate! Enjoy this special savings now! Guarantee Policy: A Deposit equal to 50% of the reservation value is required at the time of booking, Please note our Cancellation Policy for refund information. Kindly note, an additional Resort Fee of $25 per room, per night, plus tax will be applied to your stay onsite. Cancellation Policy: Cancel by 3 PM local hotel time at least 14 days prior to arrival to avoid forfeiture of the your prepaid deposit. 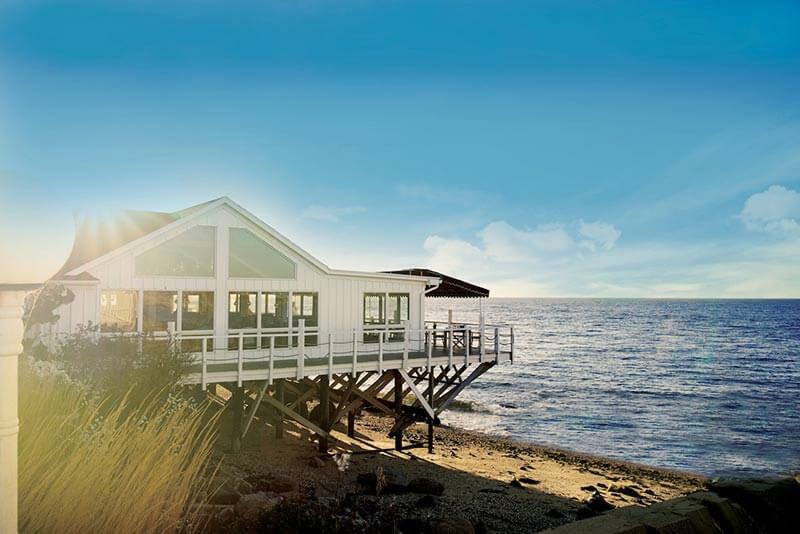 A Resort Fee of $25 per room, per night, plus tax will be applied to your stay. Our resort amenities include an in-room welcome gift, in-room Nespresso coffee service, resort programming, fitness room and sauna access, complimentary Wi-Fi, seasonal pool and bike rentals. Feel free to contact us for more information on resort programming during your stay. Please Note that The Halyard restaurant is closed Mondays through Wednesdays during the Winter Season. Please make note of our Deposit and Cancellation Policies. Pet Policy: Pets are allowed in designated rooms only and arrangements to secure a Pet-Friendly room must be arranged with the property directly, by calling 631-477-1910. Pet-Friendly accommodations will not be guaranteed without direct conversation with the property. One Pet per room under 50 lbs. Non-Refundable Pet Fee will apply. **Newly Renovated**Our Junior Suites offer 445 sq. ft. of space, a King sized bed and sitting area featuring a sofa-bed. 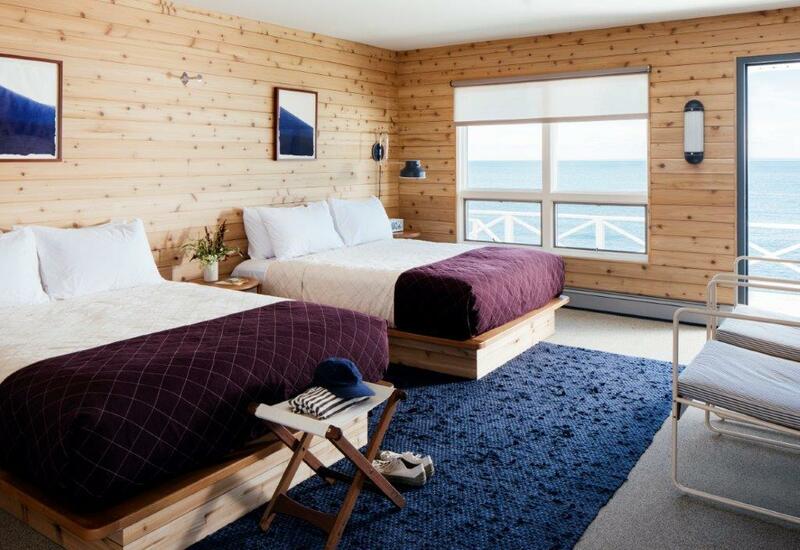 Enjoy the view from your beach facing room. A Sliding Door opens out to a private deck overlooking our Private Beach. In-room Amenities include a 42" flat screen TV, Wifi, wet bar and Dining Area. **Newly Renovated**Our Studio Suites offer 340 sq. ft. of space, a King sized bed and sitting area featuring a sofa-bed. 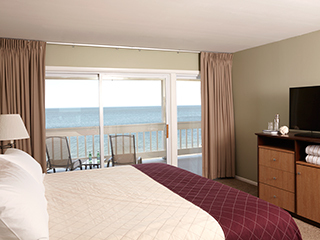 Enjoy the view from your beach facing room. A Sliding Door opens out to a private deck overlooking our Private Beach. In-room Amenities include a 32" flat screen TV, Wifi, wet bar and Dining Area. **Newly Renovated**Our Deluxe King ADA Rooms offer 295 sq. ft. of space and a King sized bed. 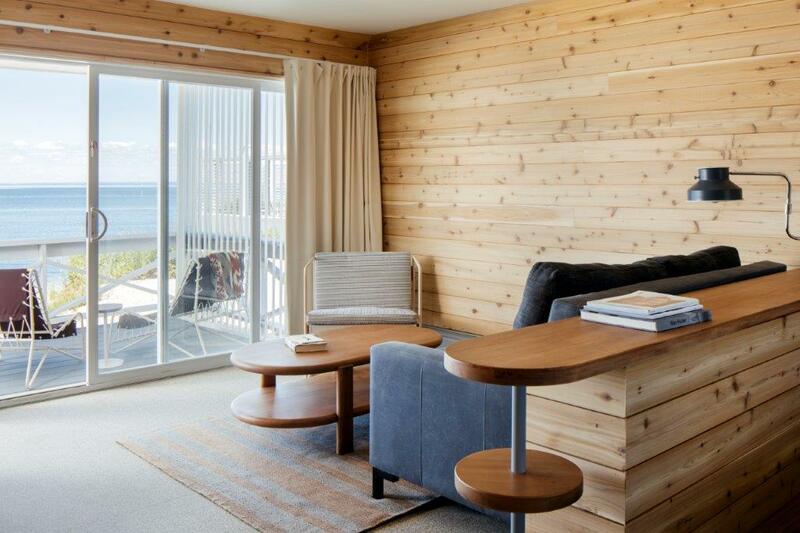 Enjoy the view from your beach facing room, which opens out to a shared deck and overlook our Private Beach. In-room Amenities include a 42" flat screen TV, Wifi, and mini-fridge. **Newly Renovated**Our Deluxe Two Queen Rooms offer 295 sq. ft. of space and Two Queen sized beds. 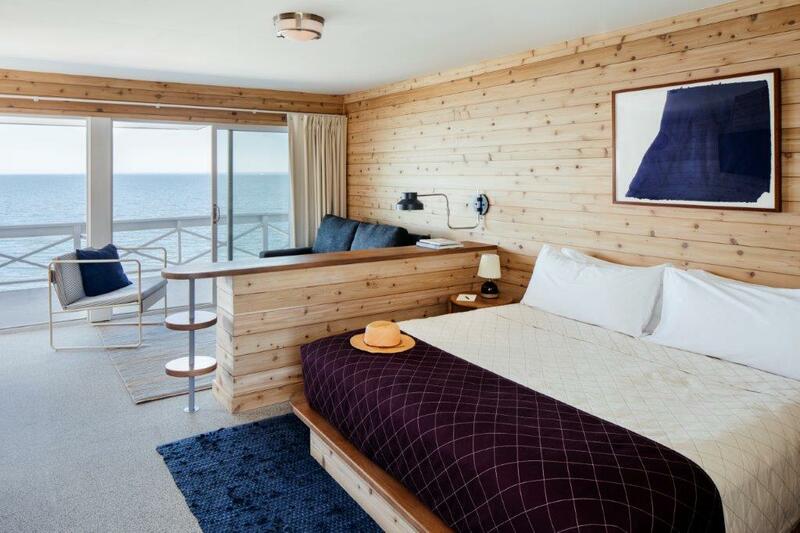 Enjoy the view from your beach facing room, which opens out to a shared deck and offers direct access to our Private Beach. In-room Amenities include a 42" flat screen TV, Wifi, and mini-fridge. Please note, these room types are currently unrenovated. Our two-bedroom apartment units are approximately 1100 sq. ft. of space. They come equipped with a master bedroom with a king-sized bed, a secondary bedroom with a queen-sized bed, a full kitchen (including a full-sized refrigerator, oven, Nespresso machine, and microwave), a dining room, and a living room. 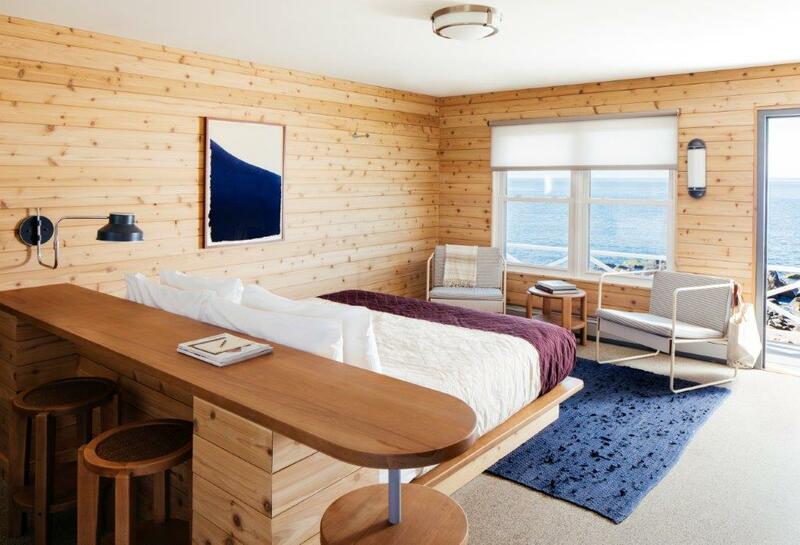 Sliding doors in the master bedroom and living room open out to a private deck overlooking our private beach. 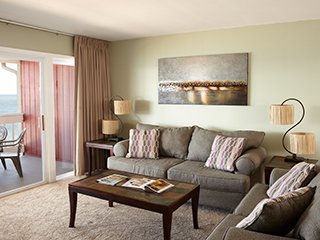 Our two-bedroom apartment units are approximately 1100 sq. ft. of space. They come equipped with a master bedroom with a king-sized bed, a secondary bedroom with two twin beds, a full kitchen (including a full-sized refrigerator, oven, Nespresso machine, and microwave), a dining room, and a living room. Sliding doors in the master bedroom and living room open out to a private deck overlooking our private beach.